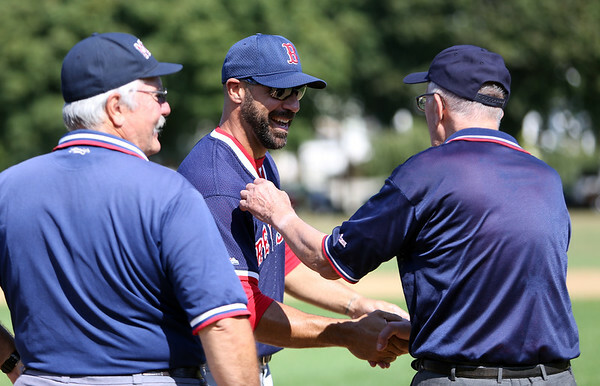 Peabody High School great and former Boston Red Sox catcher Steve Lomasney smiles and shakes hands with the umpires prior to the start of the 58th annual Peabody/Lynnfield Police vs Old Timers baseball game to raise money for Cops For Kids with Cancer and the Jimmy Fund on Monday morning. DAVID LE/Staff photo. 9/1/14.